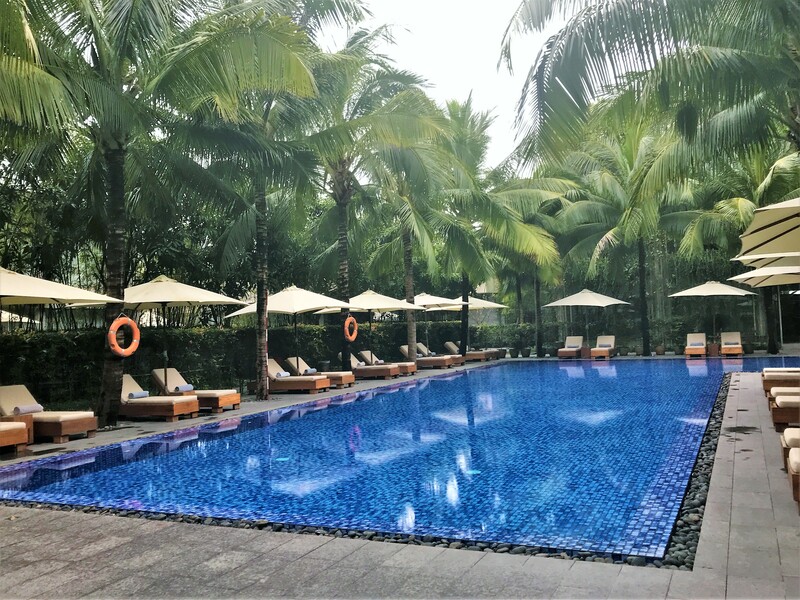 Vietnam has become the new place to go to in South East Asia and if you are interested in going I would do it sooner rather than later. There is a lot of development starting and I predict that soon many places will begin to get overcrowded. At the moment for me, it is the perfect balance between good hotels and decent tourist infrastructure without being too touristy. 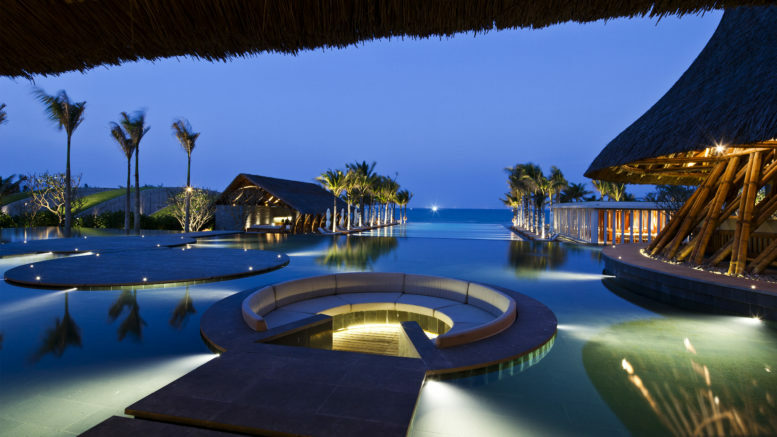 The Naman Retreat is a member of the Small Luxury Hotels group and is situated halfway between Hoi An and Da Nang. It sits on a 37km stretch of beach with white sand which is the longest beach in Vietnam. The nearest airport is Da Nang. 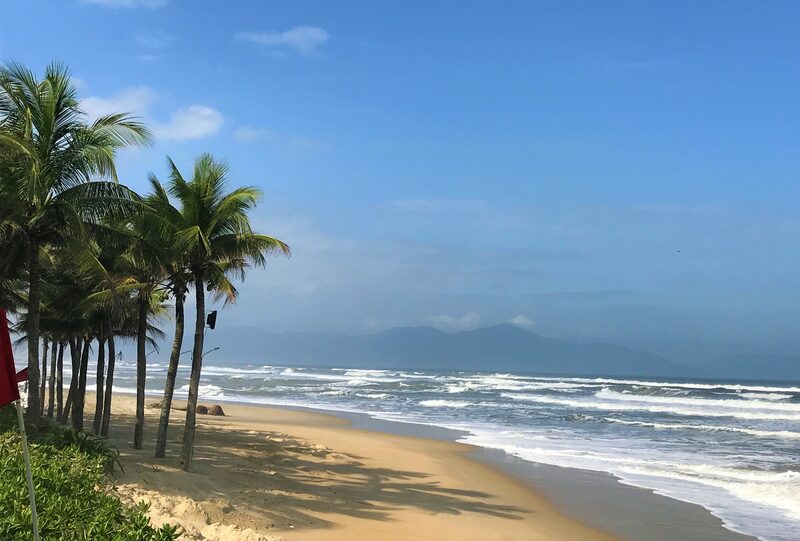 This is about an hour’s flight from Ho Chi Minh City but starting this year you can fly direct from Doha to Da Nang with Qatar Airways which would make it easier to get there from the UK cheaply with oneworld. I would recommend visiting this area of Vietnam between mid-March and June. We were there during monsoon season in January and the weather was very rainy and only around 21°c. After June the weather is extremely hot in the high 30s until the monsoon seasons starts again. We had booked a shared transfer from the airport and as we had predicted we were the only people being collected from our internal flight on Vietnam Airlines from Ho Chi Minh City. The transfer took around 25 minutes and on arrival at the hotel we transferred over to a golf buggy in the main reception area. As we were in a pool villa room we would check in at the Hay Hay restaurant area. Once inside the beautiful structure, we were offered a welcome drink and seated in the lounge area to complete check-in. 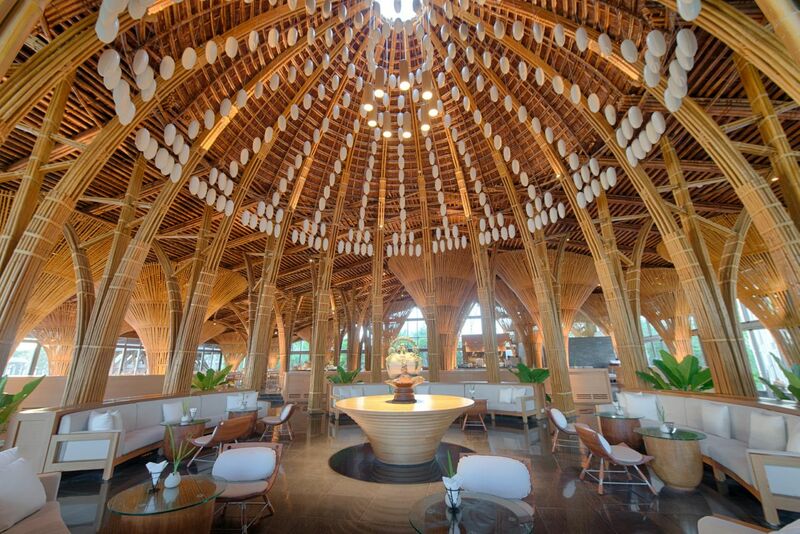 The design if this amazing building is based around grains of rice. I had emailed the hotel to try to arrange my free spa treatments in advance but had not received any reply. When I mentioned this during check in it seemed to throw a spanner in the works and the receptionist disappeared for ages. Reception and the Ambassador service was the main issue for us with the stay. The receptionists, particularly one of the men who served us need further training. From wearing their own bomber jacket (!) in reception to leaving us mid enquiry with ‘I’m busy’ (he did pass us to someone else) there needs to be some further training. English proved to be a bit tricky too at times but we normally got our meaning across eventually. Once we were checked in (without solving the spa issue) we were told our Ambassador’s name and told we would meet her later. No one ever introduced themselves as our Ambassador so if we ever met her we were unaware. The Ambassadors were meant to be a single point of contact to make any arrangements that you need or if you needed any help. We just made all our bookings through reception at Hay Hay so it wasn’t really an issue. However, I do get annoyed when things don’t work how they should in a luxury hotel. From reading other reviews it does seem like they often provide extremely good service so perhaps we were just unlucky with ours. 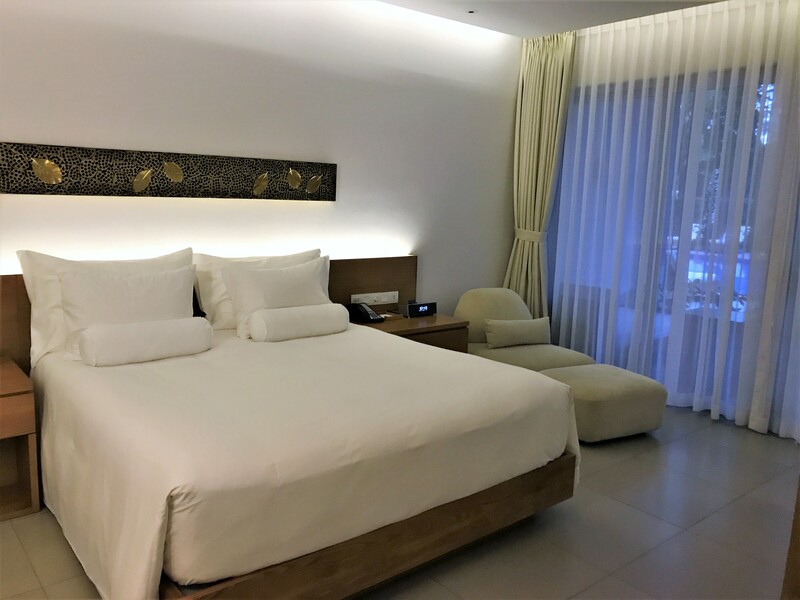 There is a wide choice of different room types from the Babylon rooms which are like a standard hotel room to luxurious beach villas. These are in a separate building near main reception and have their own shared swimming pool. They are the further away from the beach and restaurant. The rooms are not particularly large but present good value for money compared to a pool villa. The rooms have their own balcony or terrace overlooking the pool. When we were there in January there was construction next to the rooms but this was due to end in March 2018. The next step up is the pool villa which we had. These come in a 1 or 2 bedroom version. The 2 bedroom version is 2 storeys and also has two bathrooms. Our villa was located very close to the spa, Hay Hay restaurant and the main pool which was ideal. 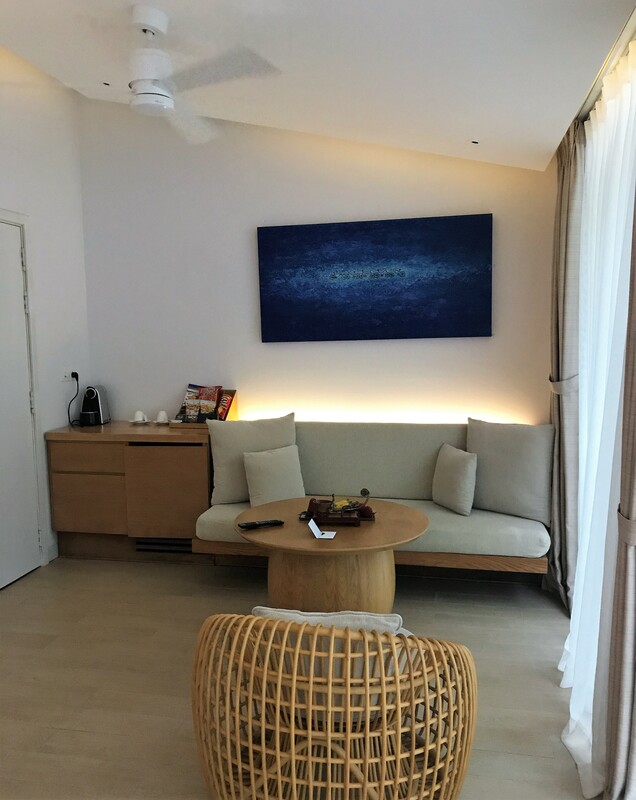 The rooms are very modern in feel and decorated in a light and airy way. The rooms are all in one open plan space with a sitting area, bathroom and bed. The bathroom also contains the closet area. There was plenty of closet space but I could have done with more drawers in this area rather than dotted around the room. 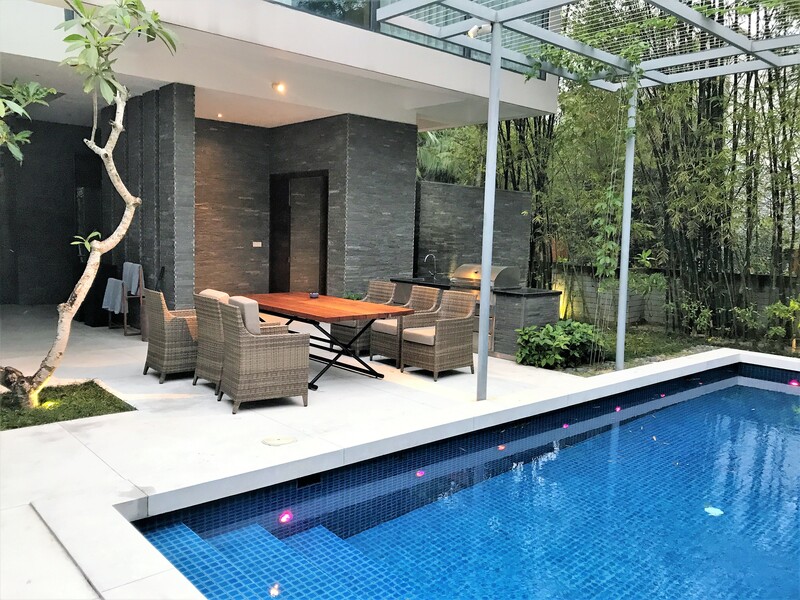 The villa was well equipped with a Nespresso machine and kettle, satellite TV with English TV channels, umbrella, torch, good air conditioning, minibar and slippers and bathrobes. We were also given a welcome fruit platter, Aquafina bottled purified water every day (you could request more at any time) and a sweet treat at turndown time. The housekeeping staff were generally very good and would often pop by just to check whether we needed anything and were happy. I found the bed extremely comfortable with its high thread count sheets and soft pillows. The room was very quiet at night although you could faintly hear the construction next door during the day (this is due to finish this month). The bathroom was luxurious and had everything you could need. The toiletries were their own Naman spa brand and had a lovely Asian spa fresh fragrance to them. They came in big ceramic pump containers which would not have pleased Roving Reporter as you couldn’t really take them home! There was plenty of storage space with drawers underneath the sink. 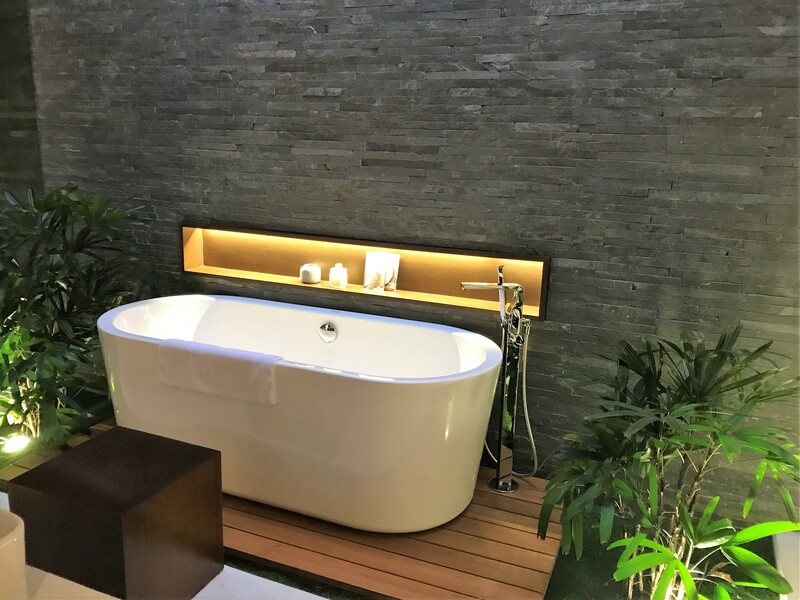 The highlight for me was the free standing bath which was just the right size for a long soak being deep but not too long. The shower was a walk-in rain head shower which didn’t flood the room like some and had plenty of room. 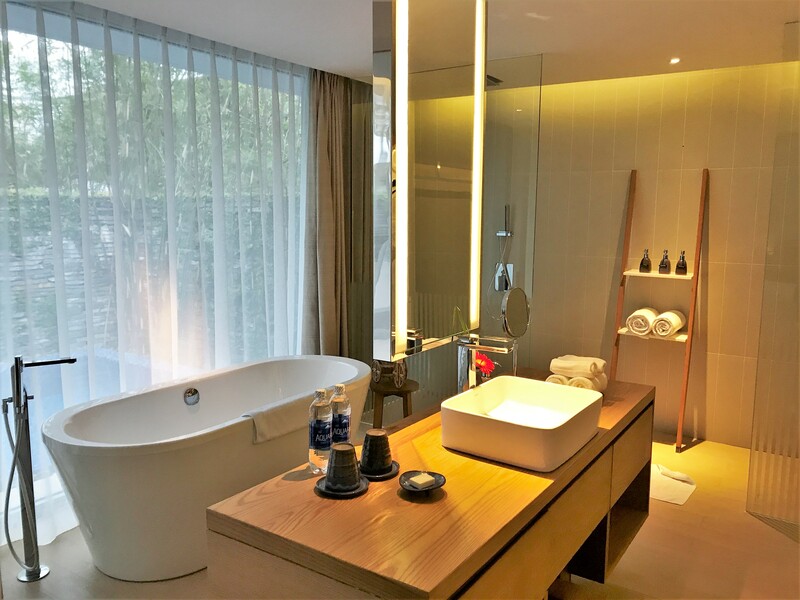 However, as you will see from the photo, the bathroom is completely open plan to the room including the toilet which just has a clear glass panel in front of it. There was an opaque electric blind which could be lowered between the two rooms but it only went three-quarters of the way down and obviously did nothing to block any sounds etc from the bathroom! This was a big design error in my eyes and I don’t understand why they don’t put doors in. Interestingly, this seems to be very common with Vietnamese hotels so it pays to do your research if you like any degree of privacy in your bathroom! I had a tour of one of these 3 bedroom villas and this would be my pick if I visited again. They feel huge and have a lovely big pool area with BBQ as well as a rooftop terrace. I particularly loved the indoor/outdoor feel of the bathroom. There is a large open plan area downstairs with a kitchen, dining table and lounge area. This would be perfect for a family or group of friends with 2 King size bedrooms and one twin. Most packages include a 50-minute treatment per person, per day which was a great deal for me as I love spa treatments. I liked the fact that you had a choice of a couple of massages including Swedish, aromatherapy and Thai. 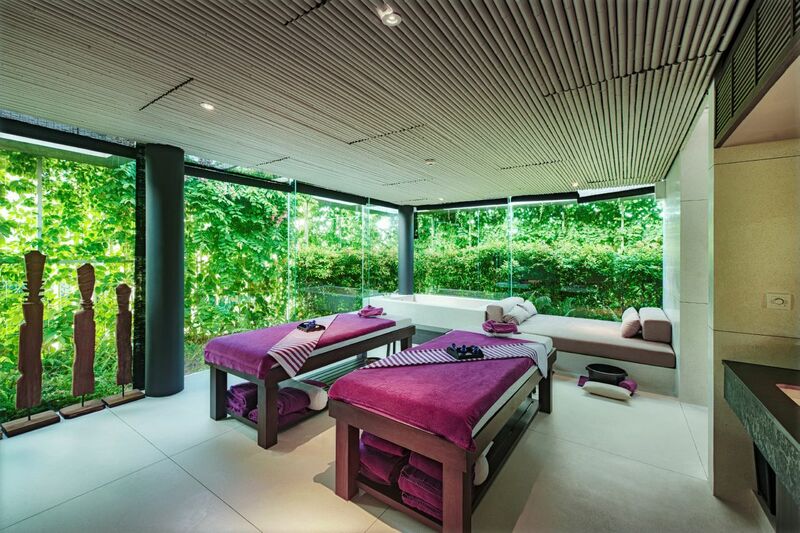 You could also choose from one of the 30-minute treatments which had a foot massage which is one of mine and Roving Reporter’s favourite treatments. Also included is the use of the facilities in the spa. In the ladies changing rooms, there were 2 hydrotherapy pools, sauna and a steam room. The pools were only lukewarm which most of the year wouldn’t be a problem but as it was quite cold when we were there you wouldn’t want to sit in the there for long. Overall other than the spa reception the building felt a bit stark and clinical. Bright purple towels and robes were used and I felt that these were getting to the point of looking a bit worn. The flip-flops also appeared to be communal as you just took some from the floor in the changing room which is not very hygienic. Flip flops were provided in the room so I just wore those to my appointments. Nonetheless, the treatments I had were very good and the therapists were delightful like virtually all the staff I met (apart from reception). Considering they were free, I certainly wouldn’t complain. When you arrived for your treatment you were given a welcome warm ginger tea which was delicious. You could choose your treatment and massage pressure then which was great as you could see how you felt each day. You did need to book in advance so I would advise emailing in advance. They also offer other treatments which you can pay for or upgrades to your free treatments. 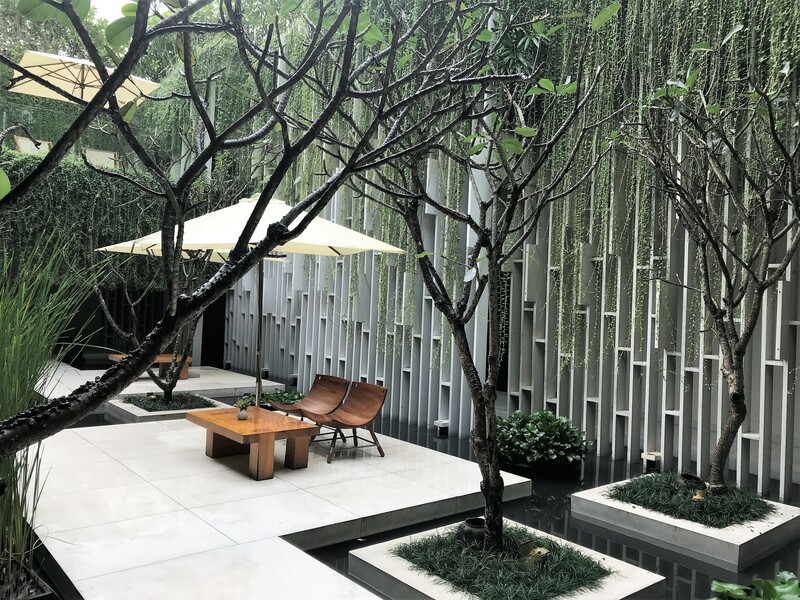 If you wanted to do a wellness retreat the Naman seemed ideally suited to this with an experienced Wellness Manager and several different programs to choose from. The centre takes a holistic approach to wellness with plant-based wholefood nutrition and organic Thann products. 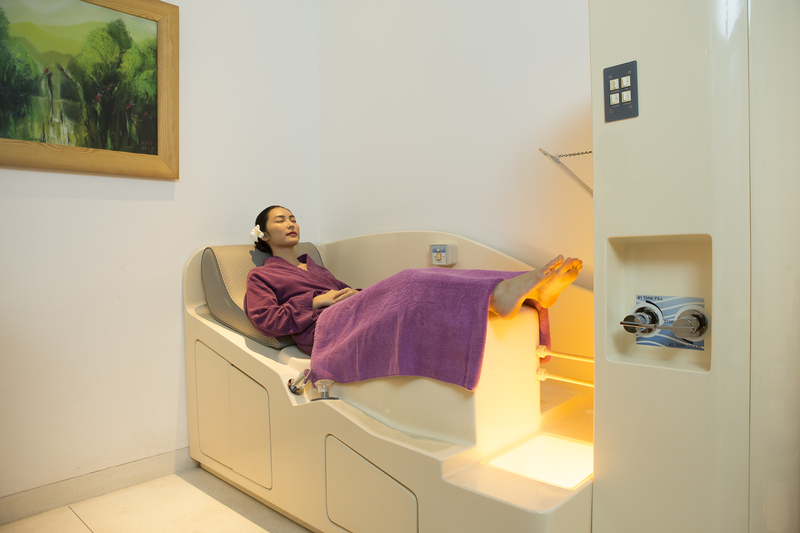 The Naman has an advanced colonic therapy machine which is the only one outside Ho Chi Minh City. They offer different levels of detox retreats depending on your health and experience of detox. You have a full consultation and body analysis to tailor the program to your individual needs. There are three levels of detox from the extreme Holistic program with a juice only diet to the more relaxed Essential detox based on a vegan diet. 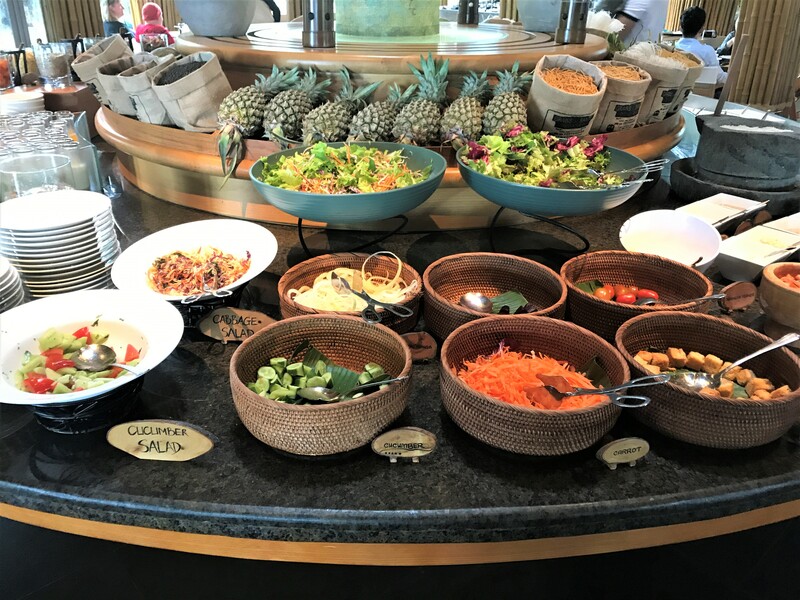 I liked that you could have your meals provided in accordance with your detox regime and this would make an ideal place for a relaxing healthy break. They also provide yoga sessions daily, tai chi, reiki, meditation and have a fitness centre too. 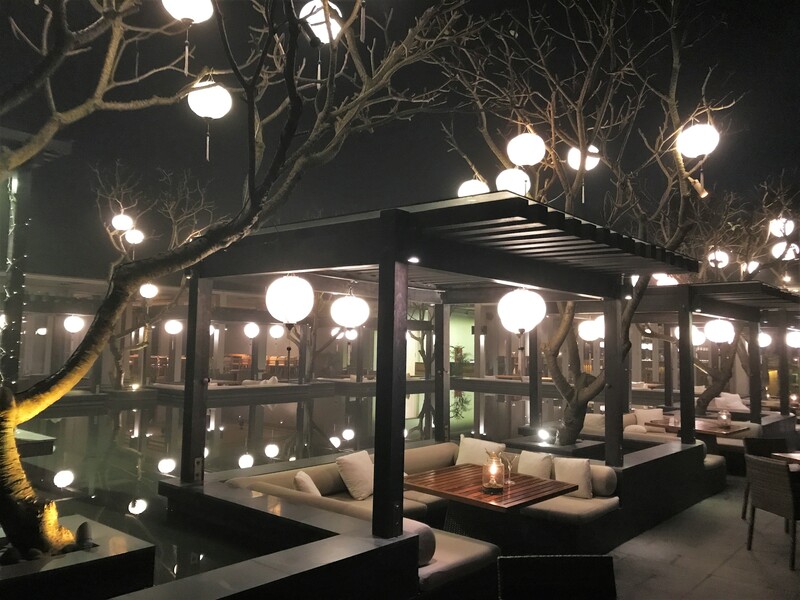 There were 2 main restaurants, the Hay Hay and the B lounge plus the poolside Sitini bar and Coffee Club in Hay Hay. The Sitini bar did good cocktails and snack lunches. In the evening you could get 2 for 1 cocktails and drinks during happy hour but it was not terribly clear which were included. The staff were very gracious though and allowed us a non included cocktail as it wasn’t clear when we ordered. The cocktails were delicious and they had a good range of their own recipes as well as classics. You could either have breakfast in Hay Hay which was buffet style and open to all or you could have breakfast in the B Lounge if you booked and didn’t have children under 12 with you. I found it annoying that the latest reservation you could have for B lounge was 9am which is pretty early for a leisure hotel. We tried Hay Hay the first morning. There was a beautifully laid out selections of salad, fruits, meats and cheeses, pastries, breads and cooked items. You could also get eggs and omelettes cooked to order as well as my favourite Vietnamese dish Pho. Although I liked the Hay Hay breakfast I much preferred the location and food at the B Lounge. The B lounge has a small buffet of fruit, juices, smoothies, pastries plus some meat and cheese. Then you can choose from an extensive list of a la carte items where you are allowed to chose 2 per person. 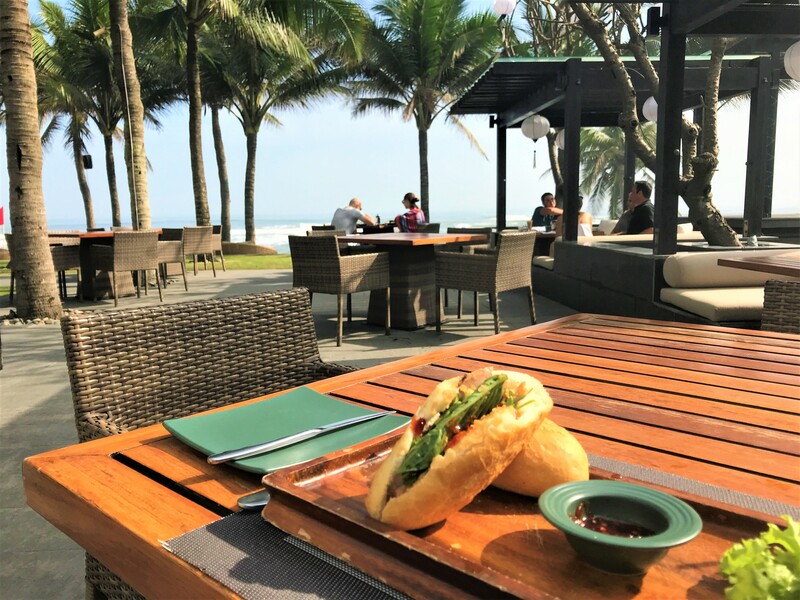 We sampled all types of dishes from Banh Mi, Pho, apple salad and smoked salmon sandwich as well as healthy options such as egg white omelette with avocado toast. Everything was delicious and beautifully presented. The service here was always excellent and the staff extremely welcoming and friendly. 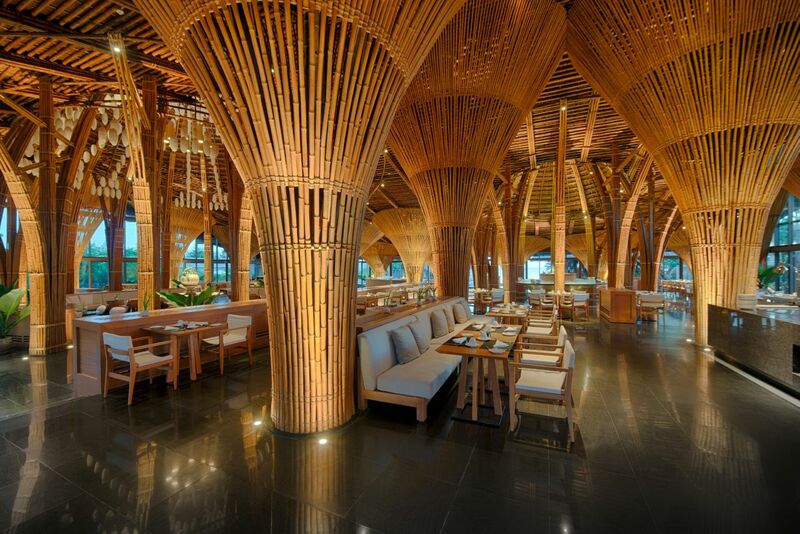 Hay Hay serves Vietnamese traditional cuisine as well as having buffets with live music a few nights a week. We only ate lunch there as we preferred the B Lounge setting and choice but the food we had was fresh and very tasty. Prices were a bit lower than the B Lounge and not expensive. The setting is also more casual. We ate dinner here 3 times as on the night we arrived they had a seafood buffet and BBQ there. The price of the buffet was £50pp which was excellent value as this included all you could drink cocktails, wine and beer plus soft drinks. There was a great selection of salads, cold fish, hot dishes, desserts and cheese alongside the BBQ. For the BBQ you took a basket and selected the fish you wanted. 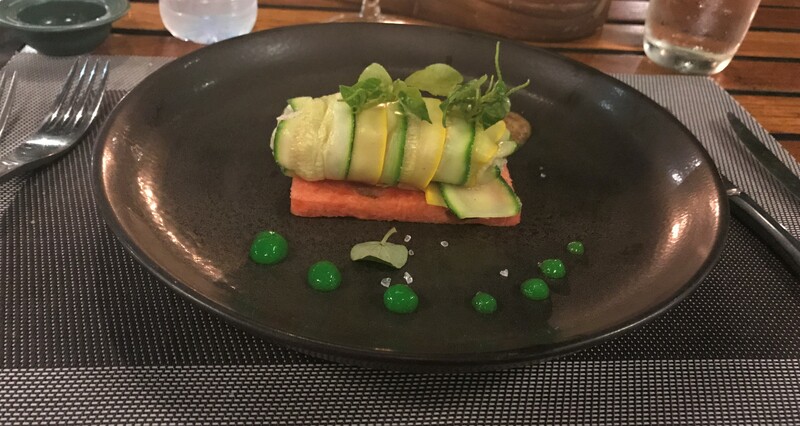 You handed it over to the chef and this would be brought back to your table once it was cooked. I had the best salmon I have ever had in my life here. It was meltingly soft with a delicate flavour and a beautiful crispy skin. I also had prawns, squid, scallops and local fish too. The other two nights we had the regular menu which had a large choice of local, international and Indian dishes. The style here was fine dining but in a relaxed atmosphere. 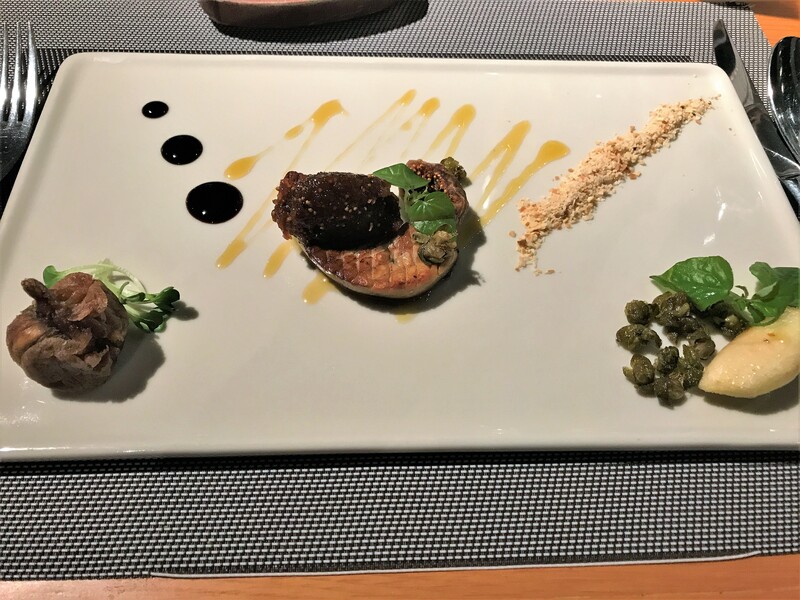 The food was all excellent as well as the service, particularly Huyen who always took the time to chat with us. I really enjoyed our meals here and would highly recommend it if you stay at the hotel. 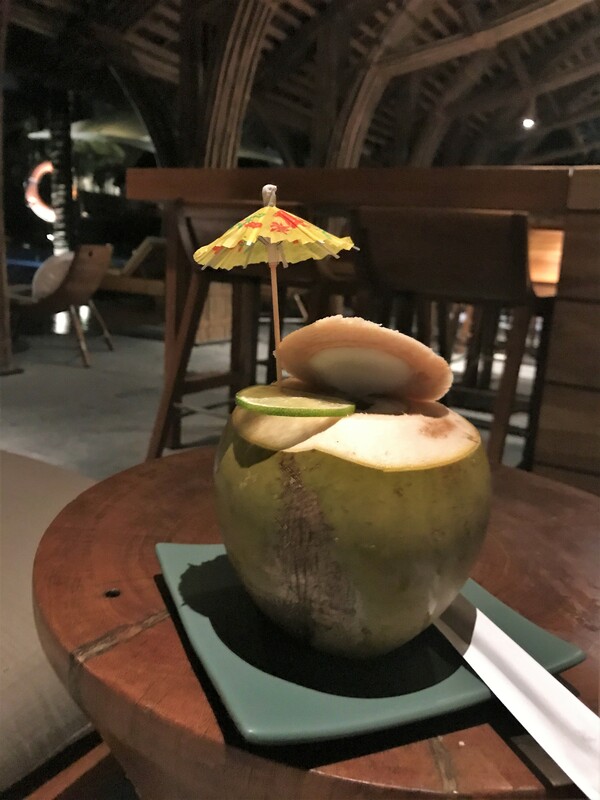 The Naman offers a huge amount of activities from the active and wellness activities such as bicycles, tai chi, water sports, yoga, hiking, and beach meditation to local craft classes. The hotel is also a 15-minute walk to the nearest golf course. 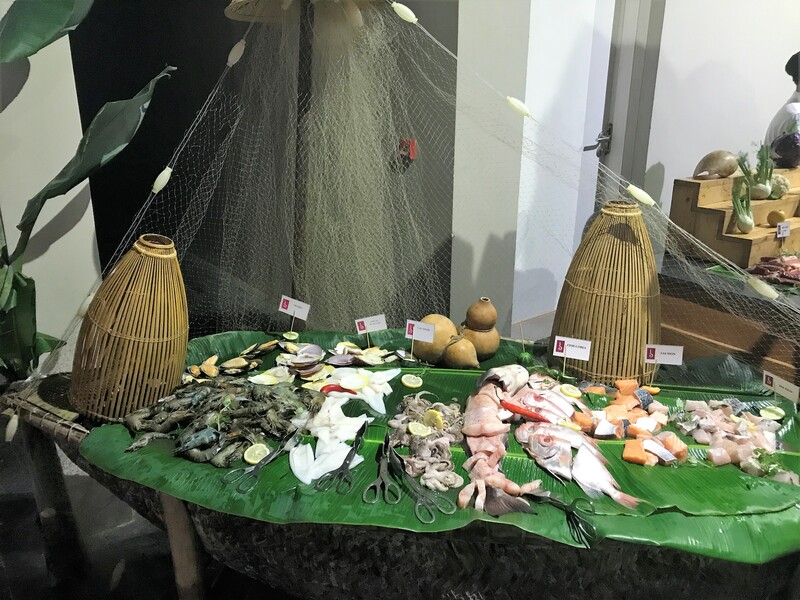 The classes on offer include traditional Vietnamese skills of fishing, gardening, lantern making, cooking/cocktail classes or basket boating. 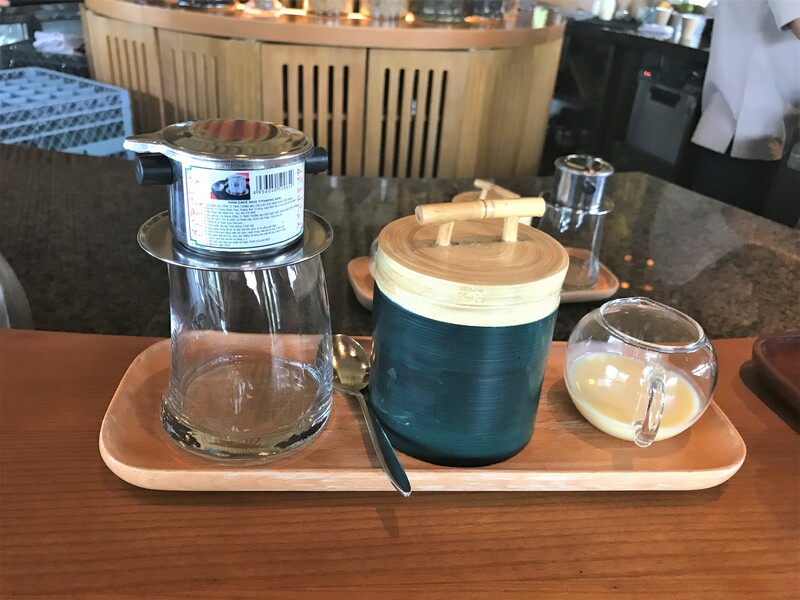 We took a Vietnamese coffee-making class as we had both become addicted to them during our visit. This costs around £10 each but also included afternoon tea. There is also a kids club with daily activities if you plan to take the family. As well as the Babylon pool there was a beachfront infinity pool with very comfortable loungers as well as loungers and day beds along the seafront. The hotel is well situated for lots of sightseeing if you want to get out and about. There is a shuttle that runs a few times a day to both Da Nang and Hoi An. I highly recommend a visit to the UNESCO heritage Hoi An town. 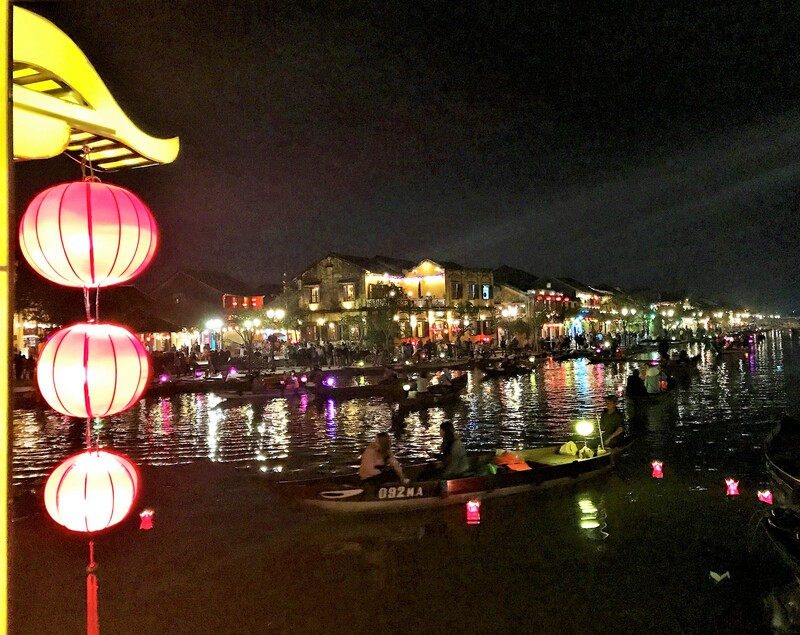 At night it is beautifully lit with hundreds of lanterns and floating candles. You can also visit the My Son Sanctuary and the Buddhist shrines in the Marble Mountains and the city of Hue from the hotel. For One & Two Bedroom Villa: Complimentary one-way airport transfer. 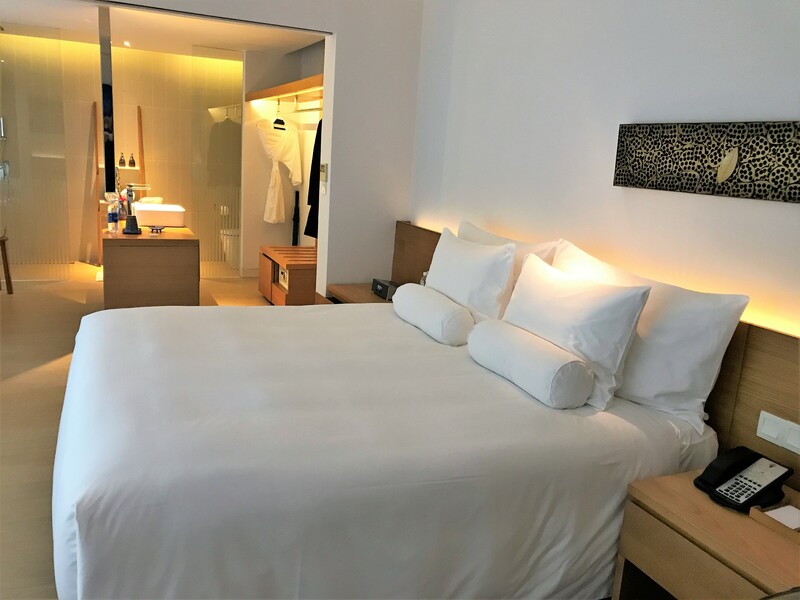 You can get extra perks if you join Small Luxury Hotels loyalty scheme and book through them, there is more information in this article. 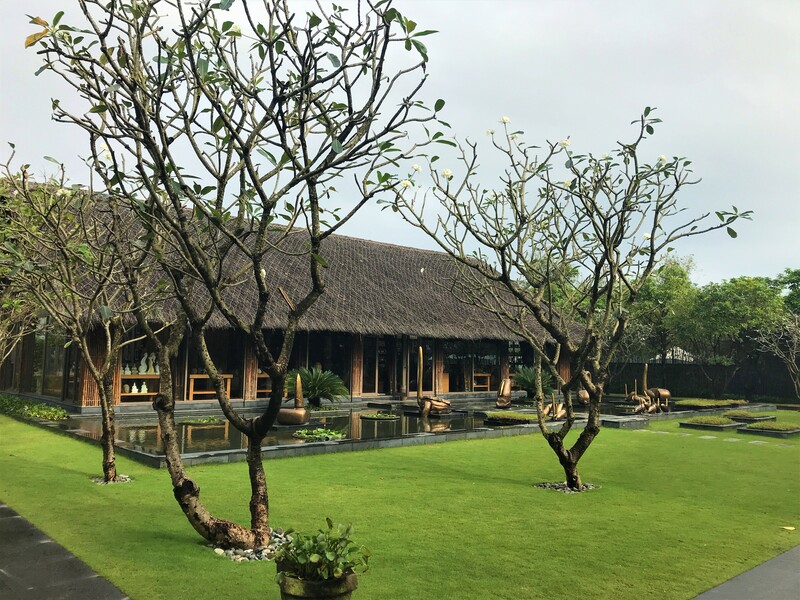 Although there were a few small issues here and there, overall the Naman Retreat is a beautiful hotel. The staff were so warm and caring it really made it a wonderful place to stay. The food was extremely good and we really enjoyed breakfast in the B Lounge. 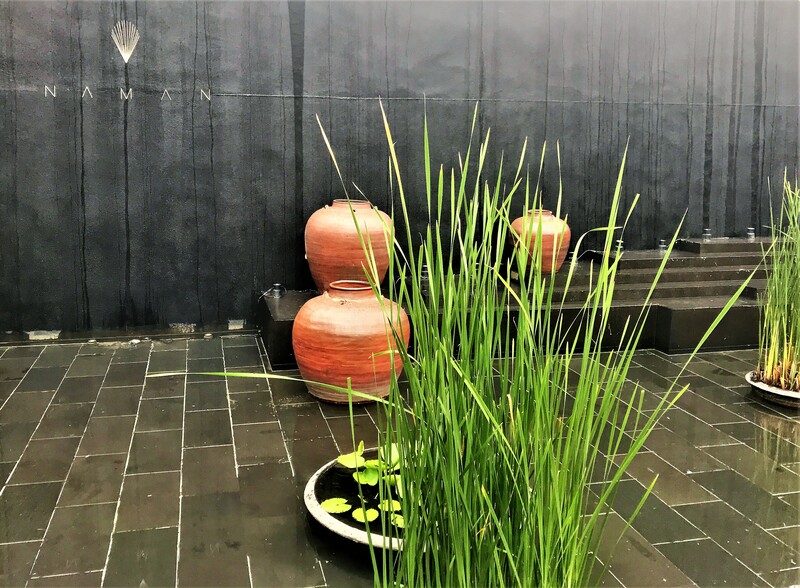 With the inclusive treatments and proximity to Hoi An, it makes a great place to stay either to relax on a wellness retreat or go out and explore Vietnam. I would definitely return at some point in the future, although I would only go when the weather is good between March and June as it was too cold and wet when we were there. You can see more information about all the Naman Retreat rooms and facilities here. 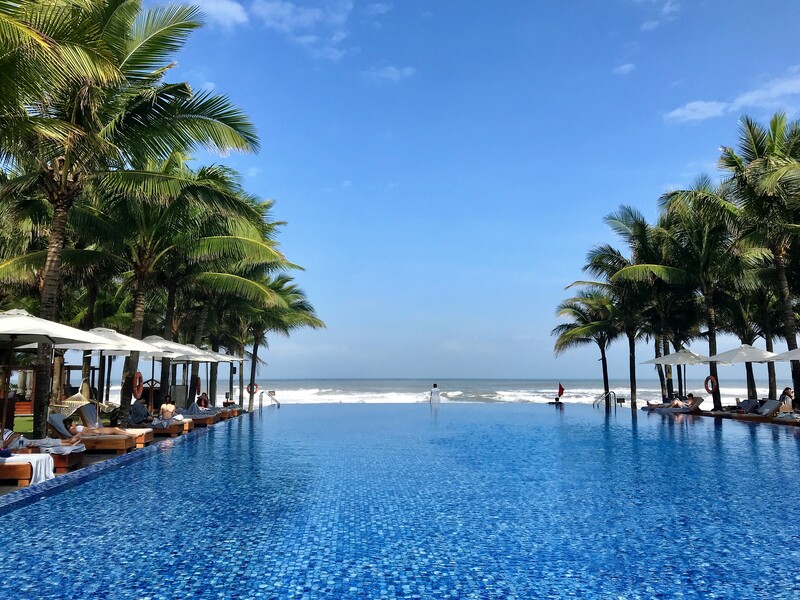 Be the first to comment on "Naman Retreat near Hoi An/Da Nang, Vietnam review – wellness retreat & beach resort"